1st Bn, The Worcestershire Regiment, 24th Brigade, 8th Division, B.E.F. Alfred Foster, the son of a carter was born at Hook Common in 1892. He had one sister Agnes, and a younger brother, Albert. 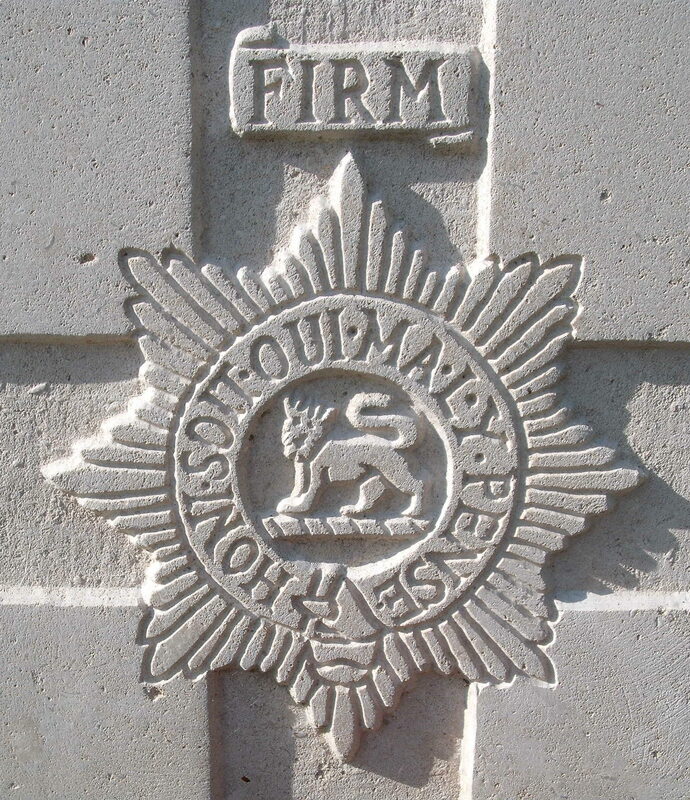 He joined the 8th Worcestershire Regiment in late 1915 and served with the 2/8th Battalion in France, and was posted to the 2/7th Battalion some time afterwards. By the time the Germans pushed the British back in their powerful offensive in Spring 1918, Foster was serving with the 1st Worcesters. On the 23rd March, the brigade to which the 1st belonged was ordered forward to support the retreating troops and came into action at a village called Pargny a few miles west of Amiens.